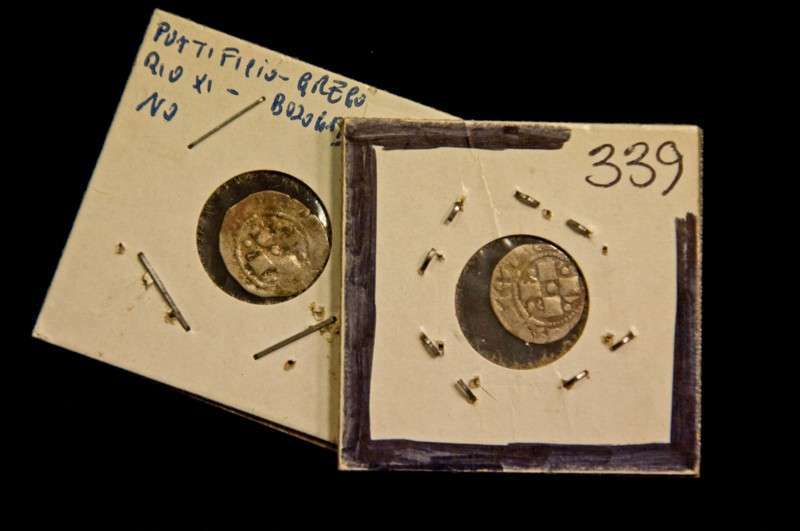 The artifacts presented here are two silver coins, known as bologninos. They were coins minted in Bologna and other cities of medieval Italy from the late 12th to the 17th centuries. This type of coin originated in 1191 when an emperor, Henry VI, granted Bologna the right to mint a silver denaro. In 1236 this unit was rechristened Bolognino piccolo because a larger, more valuable coin was introduced. The value continued to change depending upon the political and economic situations of the times. March 25, 1347 is the birth of Catherine of Siena whom we celebrate today. April 29th is the feast of St. Catherine of Siena, instrumental in convincing Pope Gregory XI to return to Rome. Saint Catherine of Siena: Be the person God created you to be, and you will set the whole world on fire. April 29th is the feast of Saint Catherine of Siena, a woman associated with Pope Gregory XI, the last of the Avignon popes.Amidst conditions of grave political unrest and intrigue, with the papacy located in Avignon, rather than in Rome, Gregory XI intended to return to Rome. 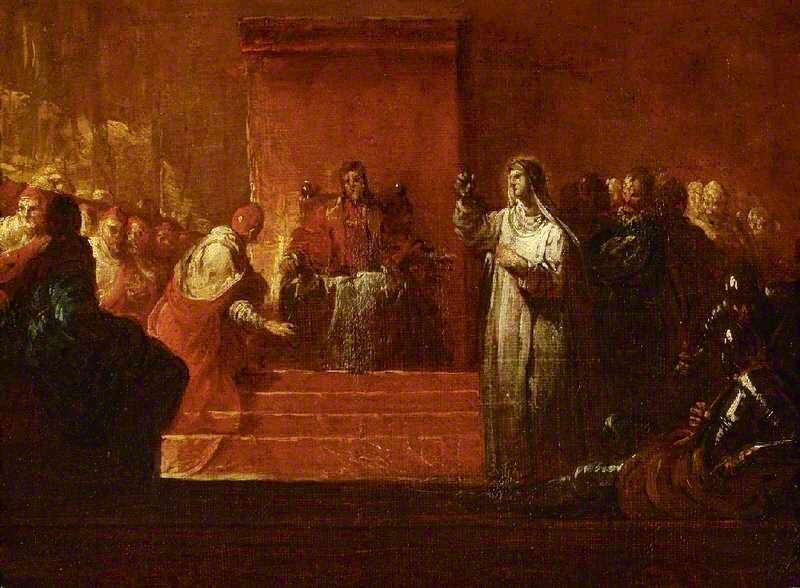 He was cognizant of the visions of St. Bridget of Sweden who warned him of his dependence on political alliances. Equally compelling was the visit from a young Dominican nun, Catherine of Siena. She visited Pope Gregory at Avignon as an ambassador of peace. Catherine could neither read nor write, but her powers of persuasion were immense, and she spoke to him through an interpreter. Known in her native land for her considerable compassion and great love for the poor, she was equally at home writing to popes, bishops, European leaders, and leaders in the Papal States. Her contention was the pope simply had to return to Rome, and she both chided him (he listened meekly to her words) and spoke with affection for him. Her letter, written to him in 1376, is lengthy and persuasive. And in another letter, she warned him, Don’t make it necessary for me to complain about you to Christ! 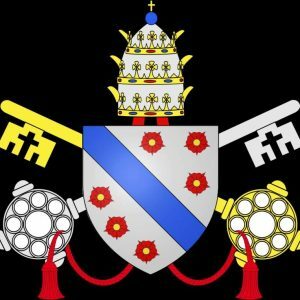 Papal Artifacts honors the memory and gift to our Church of Saint Catherine of Siena. Pierre Roger de Beaufort, an aristocratic Frenchman from the Limousin, was born in 1329 and was a nephew of Pope Clement VI (1342 – 1352). In such an atmosphere of privilege, one could assume de Beaufort would have been spoiled. On the contrary, he was not. As the nephew of a pope, however, he was the recipient of several ecclesiastical favors. He was made a cardinal deacon at the age of nineteen and returned to his studies in Perugia. He was known for his sweet disposition, for his goodness and for his intellectual abilities. Upon the death of Urban V in 1370, de Beaufort was elected pope by a majority of French cardinals since this was the era of the Avignon papacy. He took the name of Gregory XI. The new pontiff was forty-two years old in 1370 and known to be deeply religious. He declared his intention to return the papacy to Rome, a decision unfavorable to the French monarch, Charles V, who hoped to use his influence in the ongoing 100 years’ war with England. 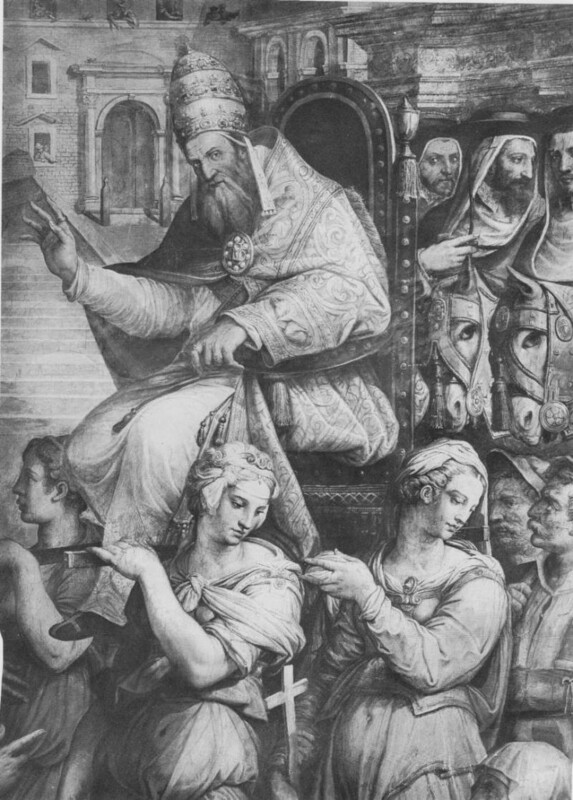 Pope Gregory XI had an excellent education, youth and energy to bring to the papacy. He was deeply religious and had high hopes of uniting the eastern and western churches. He was not successful. He also intended to mount a crusade but could not gather funds or interest to proceed. He relied on allies who were themselves too weak to act on his behalf. The Papal States were in revolt and his solution was to issue an interdict (a grave disciplinary measure) that crippled their economy. This, too, was a grave mistake. Amidst these conditions, Gregory XI intended to return the papacy to Rome. He was cognizant of the visions of St. Bridget of Sweden who warned him of his dependence on political alliances. Equally compelling was the visit from a young Dominican nun, Catherine of Siena. She visited Pope Gregory at Avignon as an ambassador of peace. Catherine could neither read nor write but her powers of persuasion were immense and she spoke to him through an interpreter. Known in her native land for her considerable compassion and great love for the poor, she was equally at home writing to popes, bishops, European leaders, and leaders in the Papal States. 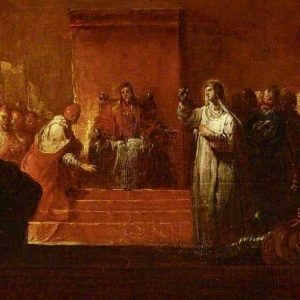 Her contention was that the pope simply had to return to Rome and she both chided him (he listened meekly to her words) and spoke with affection to him. That letter, written in 1376, is lengthy and persuasive. And in another letter, she warned him, Don’t make it necessary for me to complain about you to Christ! Gregory did return to Rome but not before the situation had become tumultuous. The Papal States were in an uproar. French legates were bleeding the people dry until they rose in protest. 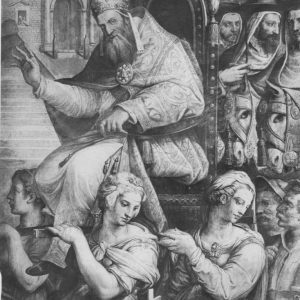 Gregory dispatched French mercenaries and a brutal cardinal, Robert of Geneva, who authorized the killing of 4,000 civilians in Cesena, and who came to be known as, the butcher of Cesena. Fury against him was so great that instead of entering Rome, Gregory retired to Anagni. In the next few months a conference was called to bring about a peaceful settlement. 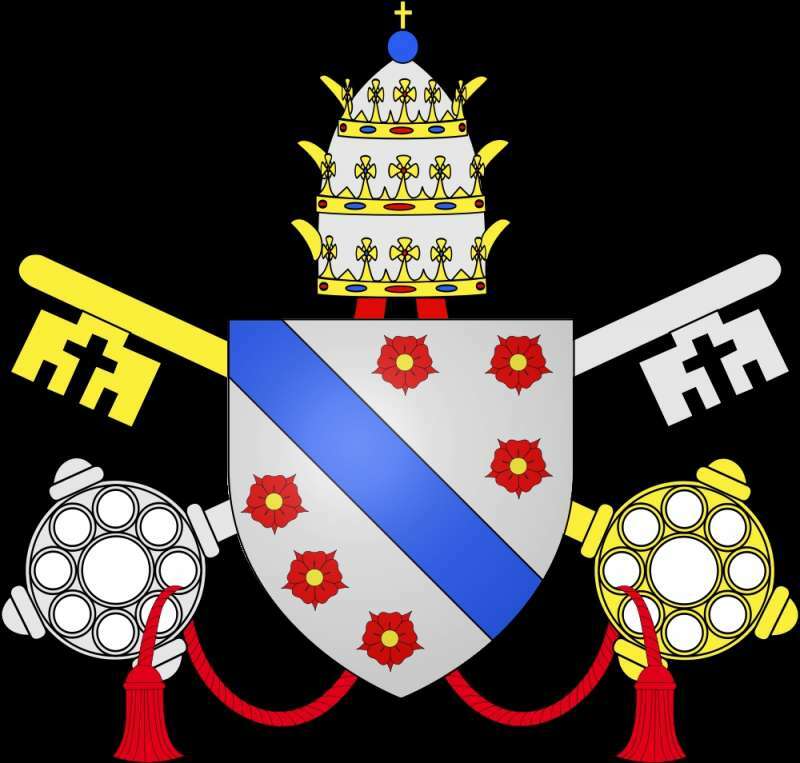 Gregory died at this time after only seven years as pontiff. It is surmised that, had he lived, he may have returned to Avignon. Gregory reformed the Knights Hospitaller. He used the Inquisition to suppress heresy and condemned the writings of John Wycliffe, an English priest. Although he never managed to settle peacefully in Rome, it is because of him the papacy was returned to Rome. Pope Gregory died in March of 1378.